Following the January 2019 update, there has been a problem when trying to customise some of the reports. 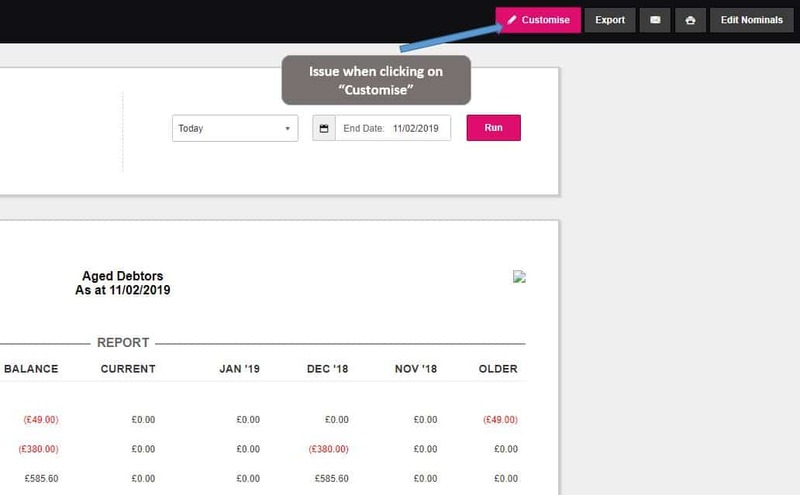 The issue is that, if you view a report and click “Customise” and tick various options on the next screen, these options are not being retained. This issue has been logged and is due to be fixed in a new release of the software towards the end of February 2019.